In much of America, vitriolic comments and gendered slurs from protesters are a given fact of being a Planned Parenthood patient or healthcare provider. Although anti-abortion protests certainly happen where I live in New York, those demonstrations are more of an anomaly here than elsewhere in the United States. If I need to access abortion or other health care services where I live, it’s unlikely I’ll be faced by a crowd of demonstrators. But at a screening Monday of Planned Parenthood’s new virtual reality experience Across the Line, I learned, as first-hand as possible without actually living the harassment myself, what it’s like to be called a “whore,” a “wicked, pathetic woman,” and a “Jezebel feminist” for seeking healthcare. Across the Line is a seven-minute virtual reality film starring real Planned Parenthood patients and healthcare providers. 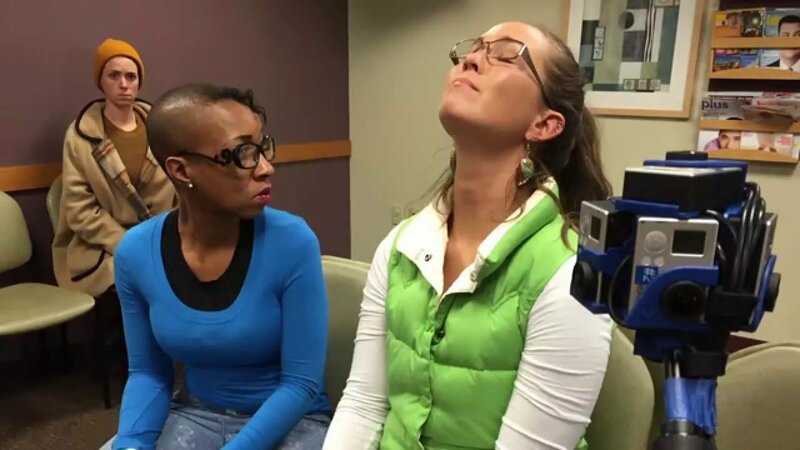 The movie uses actual footage and audio recordings of protests to put viewers in the shoes of a patient—Kristina Nailen, who received an abortion from Planned Parenthood in the past and plays herself in the film—as she arrives at an Illinois Planned Parenthood for an abortion. The final scene is the most immersive and disturbing. Using audio recorded by co-creator Brad Lichtenstein, Across the Line puts the audience in the middle of a crowd of CGI protesters. As we attempt to walk from our car to the health center’s entrance, the group shouts at us that we’re whores who will burn in hell. 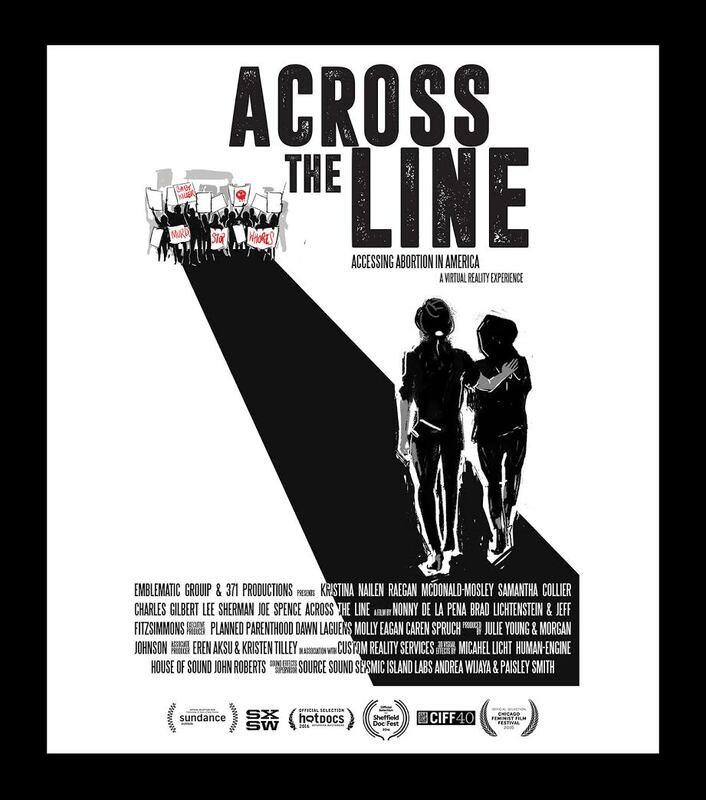 Across the Line can be viewed using Google Cardboard, HTC Vive, and Gear VTR. At Monday’s event, I tried out the latter two and found both experiences very effective, although the Vive was by far the most immersive. With the Vive, you have a chance to actually walk in Kristina’s shoes—a member of Planned Parenthood led me by the hand while I wore the headset, so that I had a more visceral experience of moving through the demonstrators in Across the Line‘s final scene. This was my first time using VR, but I didn’t have any of the nausea I’d worried about experiencing. Lichtenstein told me that ensuring the movie didn’t make people sick was a priority for him and for Across the Line‘s co-creator, visionary VR artist Nonny de la Peña: “Why would you want to turn anyone off from the nascent technology right at the beginning of its arc, especially with an issue that’s so important?” Making the film easily accessible was vital, since their ultimate goal is to show Across the Line to everyone from anti-abortion extremists to state legislators. Everyone I spoke to who’s involved with Across the Line emphasized the potential of technology like this to create more compassion and understanding for the women who need Planned Parenthood. But what’s implied—more by how timely the film is, given the violence against Planned Parenthood within the last year, than by anything explicit in the movie itself—is that the stakes are so much higher than just protecting the emotional well-being of patients and providers. Across the Lines‘ goals are certainly ambitious, and I’m very curious to see what happens when the film is shown to more legislators or used out in the field. I know it’s expanded my awareness and empathy for women who have to contend with harassment when visiting their healthcare provider, but I don’t know how a movie like this will play with people who don’t have an inherent willingness to consider women’s feelings. I’m coming away from Across the Line impressed by everyone involved and optimistic about the potential of this new technology, but also unsettled by the reminder of how convinced and righteous anti-abortion protesters can be in their cause.